Melanie Leydin holds a Bachelor of Business majoring in Accounting and Corporate Law. She is a member of the Institute of Chartered Accountants and is a Registered Company Auditor. She graduated from Swinburne University in 1997, became a Chartered Accountant in 1999 and since February 2000 has been the principal of chartered accounting firm, Leydin Freyer. The practice provides outsourced company secretarial and accounting services to public and private companies specialising in the resources, technology, bioscience and biotechnology sector. 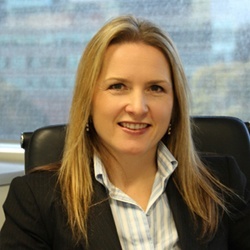 Melanie has over 25 years’ experience in the accounting profession and has extensive experience in relation to public company responsibilities, including ASX and ASIC compliance, control and implementation of corporate governance, statutory financial reporting, reorganisation of companies and shareholder relations. Mr Fernando is a proven senior executive with over 17 years global executive level, stakeholder management and leadership experience. In addition, Mr Fernando has extensive experience in the development of business strategies, growth and improvement. Mr Fernando joined Jayex Technology Limited (Jayex UK) in June 2015 as Chief Executive Officer, prior to the acquisition of Jayex UK by Jayex Healthcare Ltd in December 2015. Before joining Jayex UK, Mr Fernando held the position of Managing Director for a global defence technology company and successfully grew its European business by 60% within a 3-year period. He also held various roles at a European multinational healthcare company which included logistics, planning and sales.